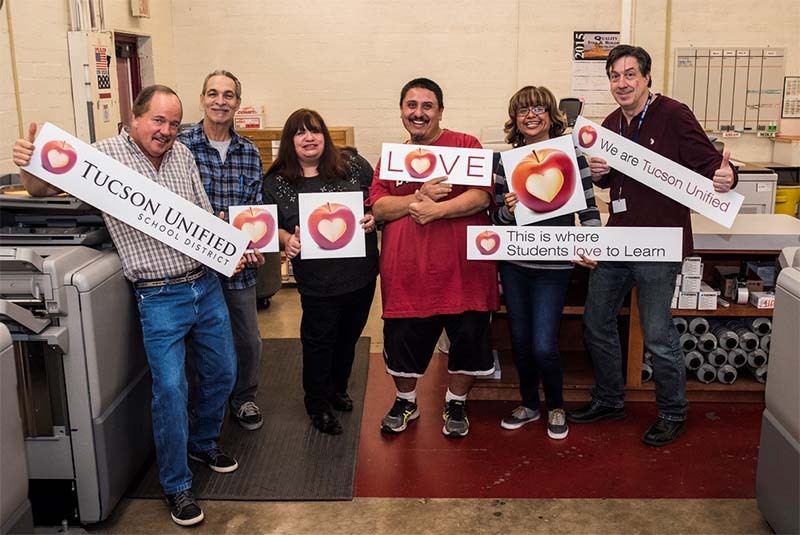 Check out our hard-working Print Shop crew! They are our first #TeamTUSD for the new school year. The Print Shop can handle all of your printing needs, from banners to flyers to fat heads (those giant cutout faces). If you need printing, help is just a phone call or email away. Contact Gary Hawkins and his team at 225-5437 or Print.Shop@tusd1.org.